It would be lovely if I would focus on my subject now, wouldn’t it? She had a room full of visitors so we didn’t stay for long. She also has the cutest 2 year old boy on the face of the earth, so I hope she will get some good rest in the hospital, because things at home are going to be busy. Don’t know what posessed me to use these colors together but I am surprisingly happy with the combination! You know that’s desperate. 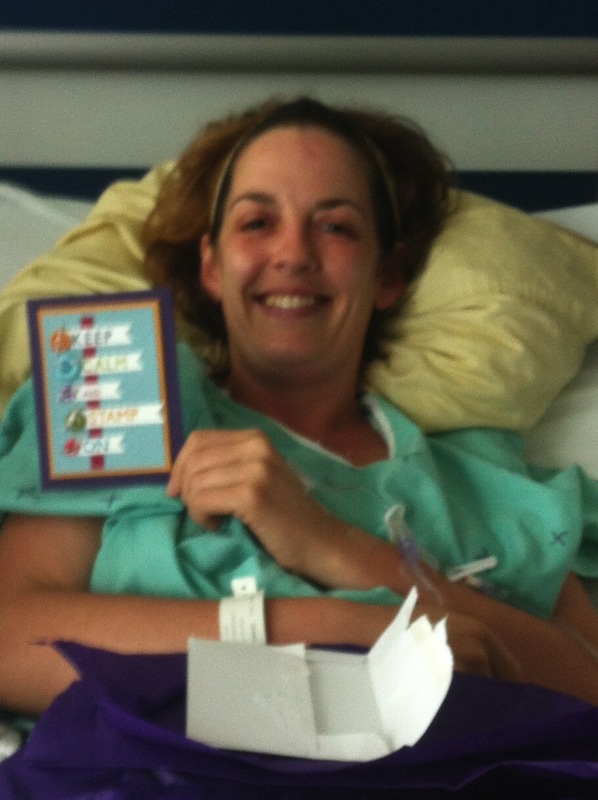 It’s also heavily medicated – she was on some big-time pain-killers – so I didn’t take her any water. Besides, there was that things about having to do the surgery over. Hmmm…no. Can’t wait til she’s well enough to stamp again! It was s desperate time….. but thanks for stopping by!! Gonna be out soon and we can stamp! I love the card! I hope Crystal is released from hospital soon so she can stamp again soon! She’s home! 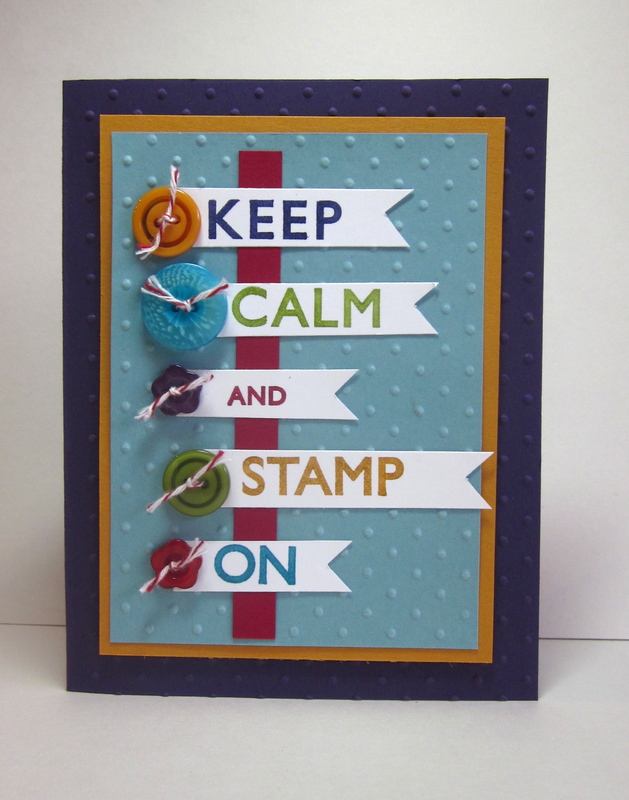 Just a matter of days ’til stampin’, I hope!